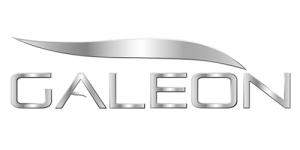 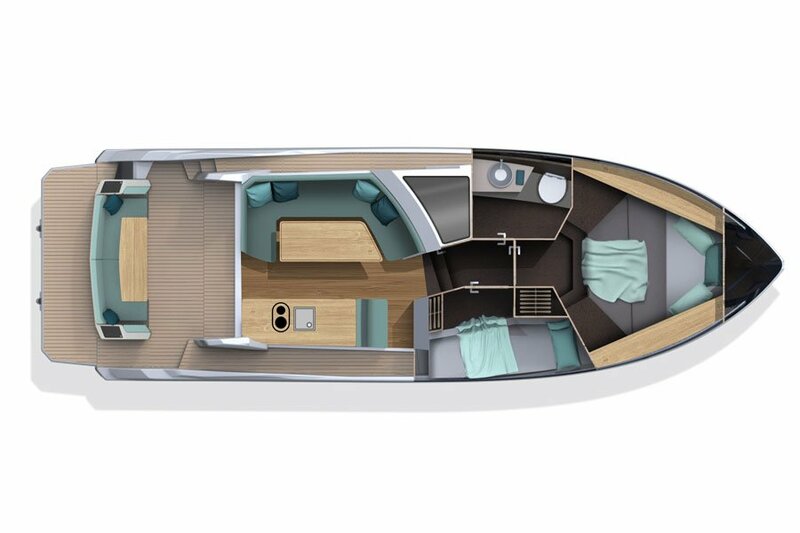 The upcoming 370 HTC will share the hull design and main features of the 360 FLY offering a more sporty silhouette and a large glass sunroof over the helm station. 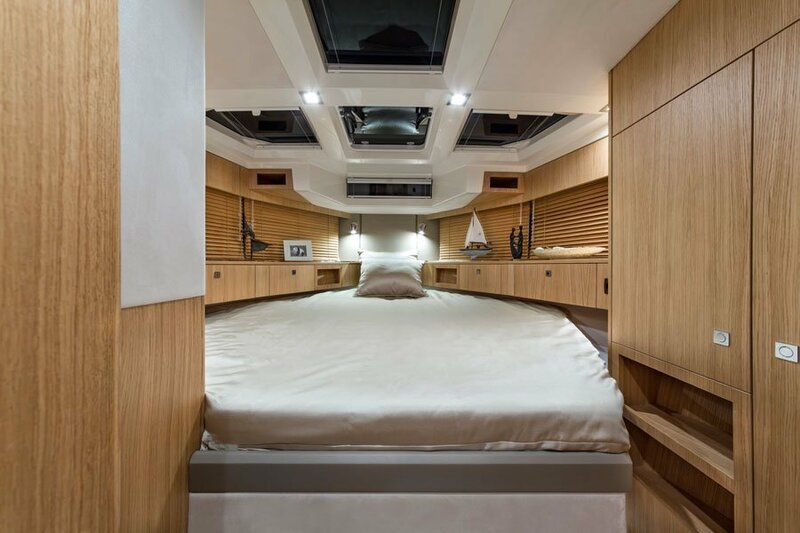 With a customizable interior, great floor plan and competitive performance this will be a highly anticipated premiere. 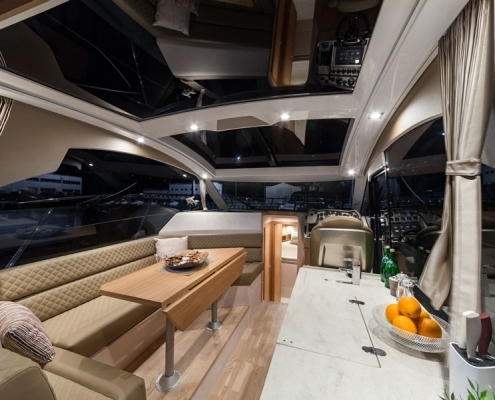 The cockpit area is fitted with a sofa with a drop down backrest and a table. 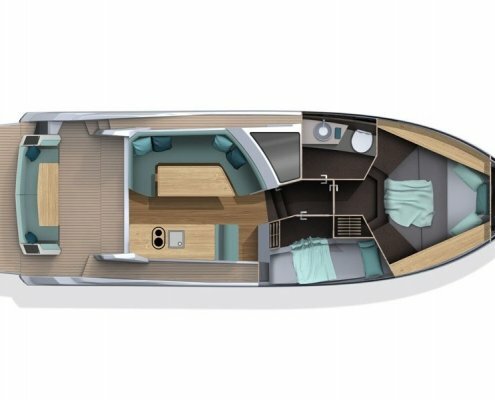 To extend the room for activities open the cockpit doors completely and flip the saloon seat to face the aft. 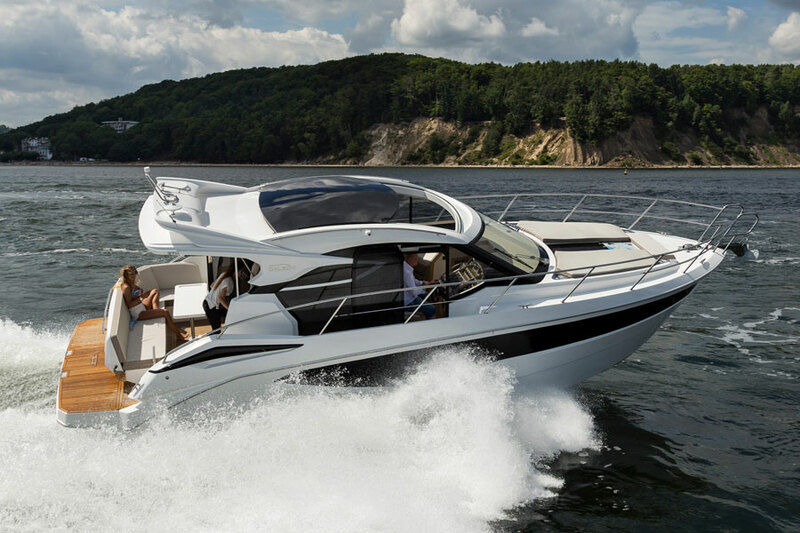 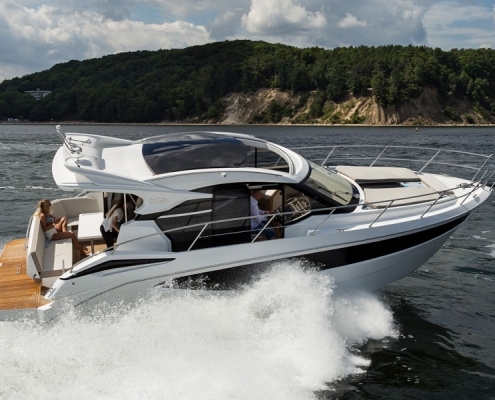 The more adventurous passengers might opt for the bow sundecks or the innovative front seat for a thrilling ride. 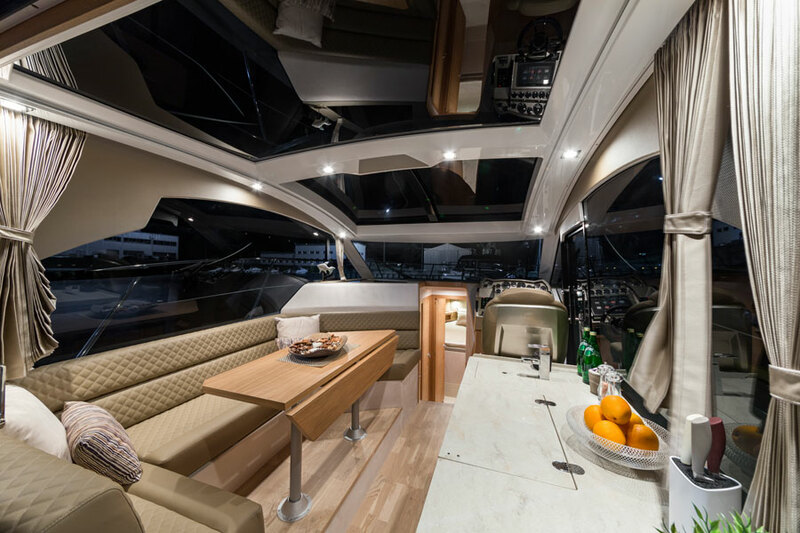 Inside, a large comfortable seating area faces the well-equipped galley, with the helm station moved forward. 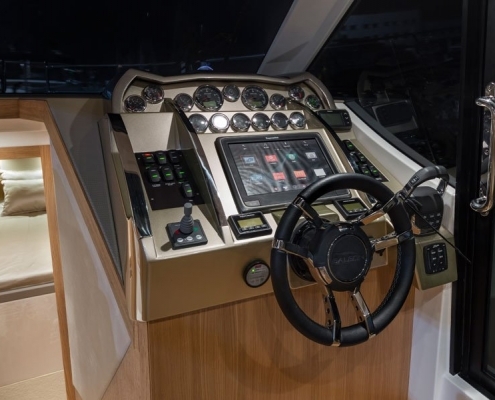 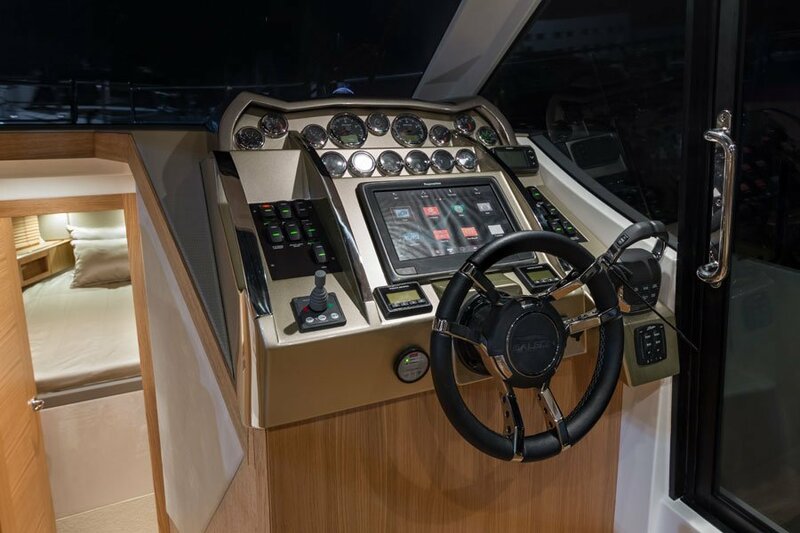 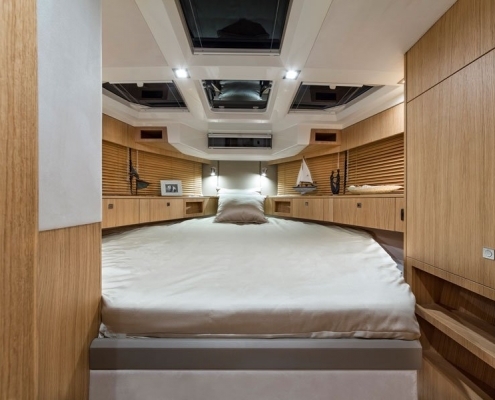 The driver is sure to appreciate the starboard sliding doors that allow for easy access to the bow during mooring. 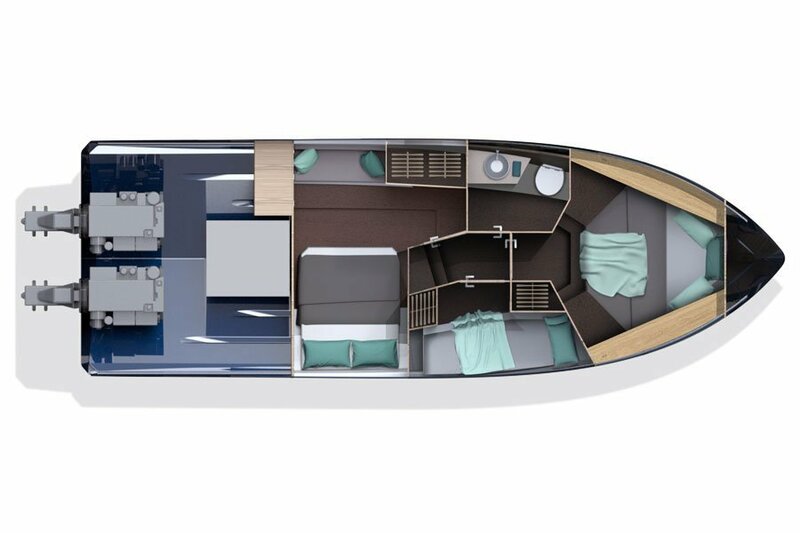 Find an incredible three cabin layout down below complete with a shower fitted bathroom. 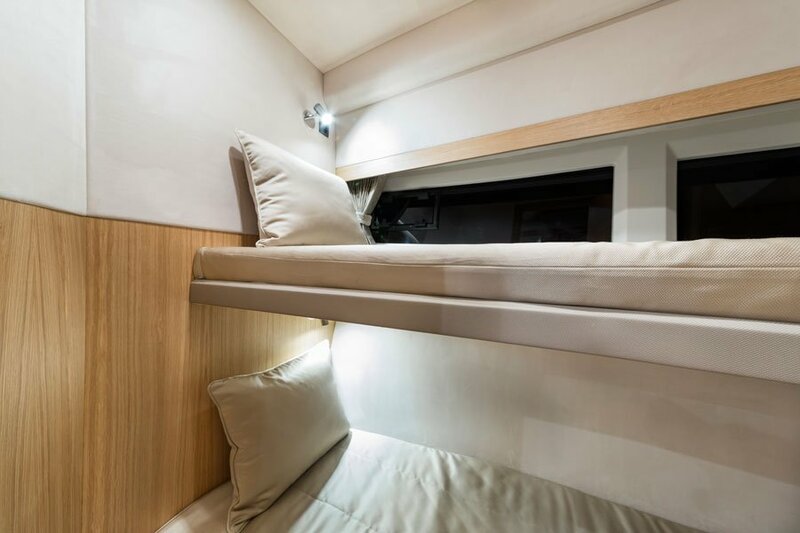 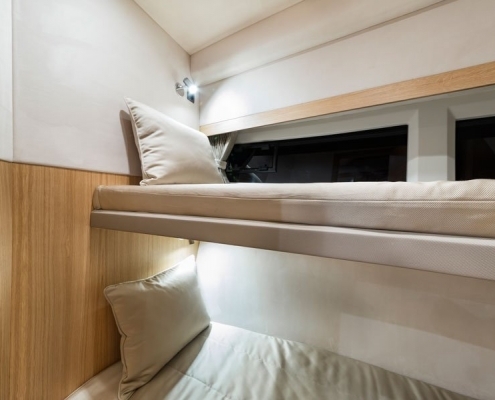 Bunk beds in the guest cabin boost the number of berths down below to six, perfect for large families. 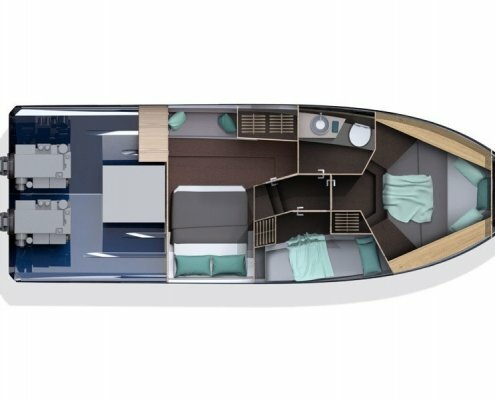 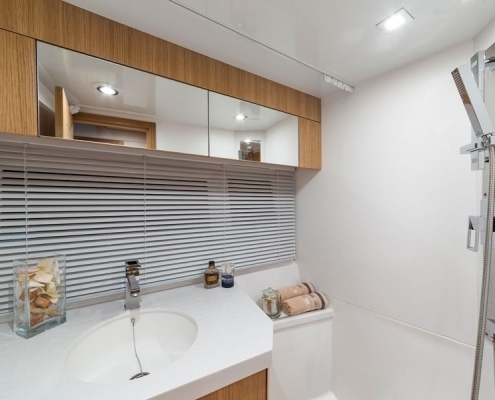 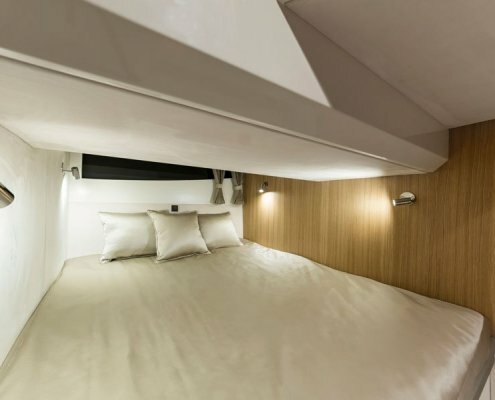 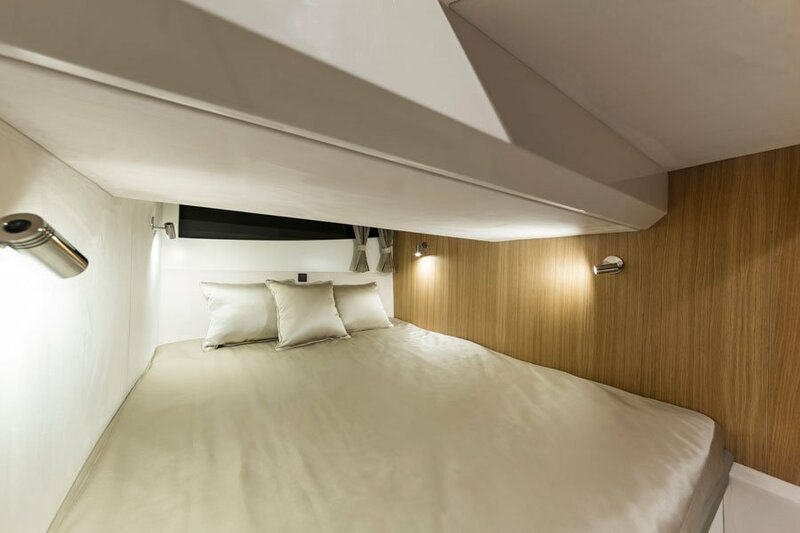 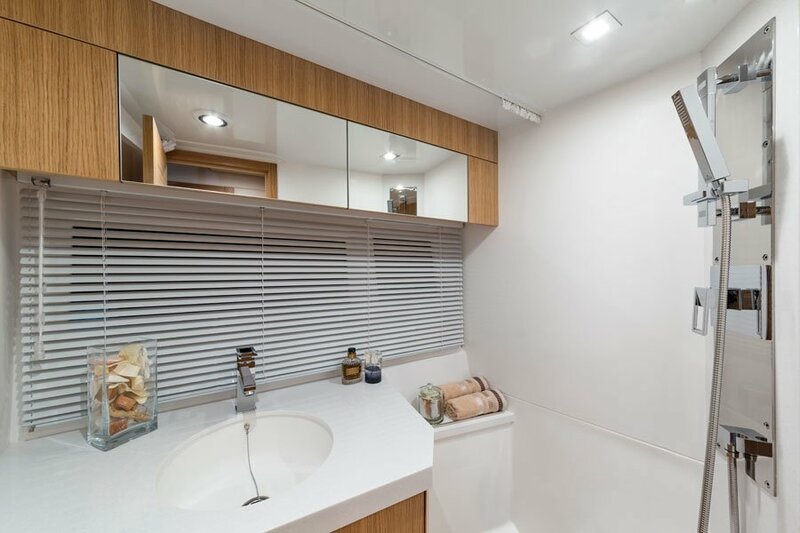 All cabins offer standing height and extra storage that comes handy during longer cruises.